What companies do you teach for? Do you have an outside job – related or unrelated to teaching? I am a homeschool mom. 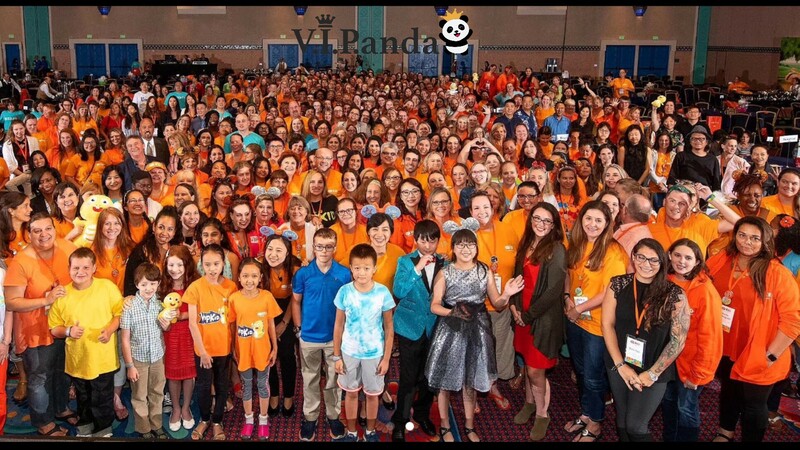 I began teaching with VIPKid in April 2018. Have you always taught? Or did you start out in another field entirely? I started as a teacher. 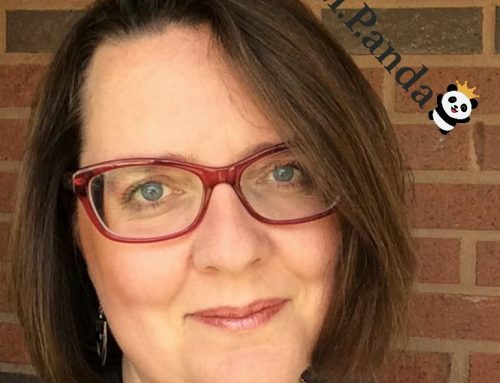 I taught ESL and First grade in Shenandoah, VA. I have never liked the taste of coffee, but I think that my morning shower at 5 a.m. pretty much does the trick! Monday, Wednesday, Thursday, Friday, and Saturday -6 a.m.-8:30 a.m. EST. Then I just teach odd classes here and there when I’m not busy. Usually Friday or Saturday night. I LOVE LOVE LOVE Voice of VIP!!! I love the Fruit Ninja song! Can you spot Lauren? Here’s a hint–she’s in the front row, left side! 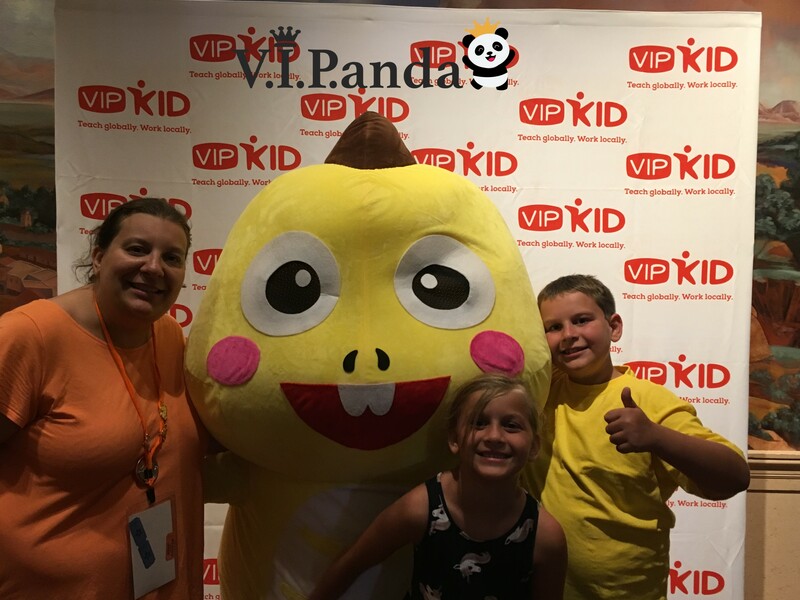 Lauren and her family attended VIPKid Journey in Orlando in 2018. They met the world-famous Dino! 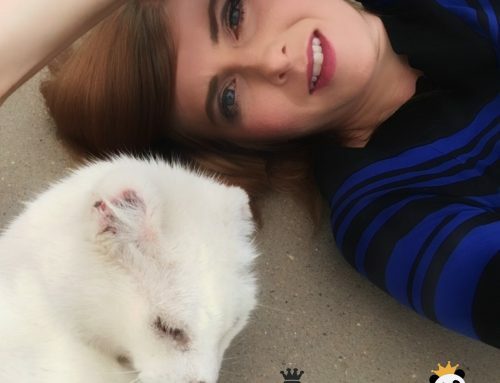 Seen here, Lauren is with her daughter, Chloe, and son, Matthew. What do you do between classes? I usually check my phone, sometimes I eat a granola bar. 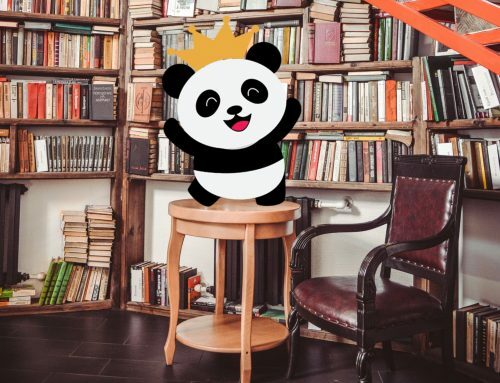 How do you use FeedbackPanda (what is your process)? I have basically all regular students. Their information is already in the system. I bring it up, read it over to check for mistakes and send! I love that I’m done in less than 5 minutes!!! I always (well almost always) tell the parents that it was a pleasure to meet/see their student. Then, I write about what we did. If the student has anything to practice and then I close by thanking them for choosing me to be their child’s teacher. What do you like to see when checking the Teacher-to-Teacher Feedback (notes on students from teachers in the VIPKid/Gogokid portal)? I like to know what the personality is of the student. If they are eager to learn vs a student that doesn’t want to be there. It helps me know if I will be teaching, entertaining, or something in between. This looks like a fun game to play with online students! 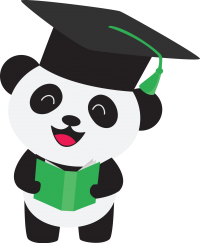 Before FeedbackPanda, I really enjoyed leaving feedback for students, but I was losing so much time doing it. I always had to have my cell phone in front of me so that I could look through each slide and remember what the student said and did. I also wrote the same sentences over and over….”Thank you for choosing me as your teacher. If you liked my class, I would love your 5 apple feedback. 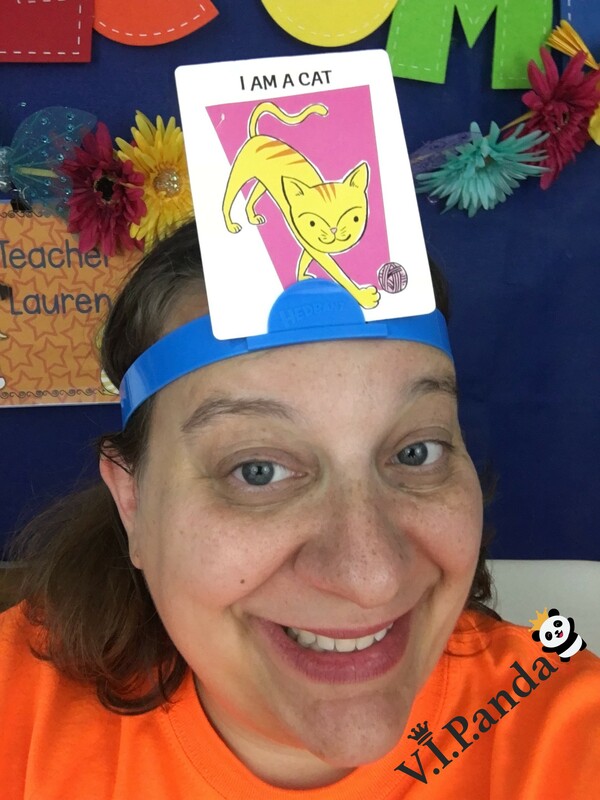 Teacher Lauren WPU”…..I was so tired of typing that. I had a word document where I would cut and paste, but if I wasn’t at my work computer, I was starting from scratch. Where before, I took me about 15-20 minutes per student to do feedback, I can now do each on in less than 5 minutes! I love that!!! I can also save those repeated sentences and use them with just a quick click (Smart Sentence feature)! I love that feature!!! You’ve posted about LingoBus. 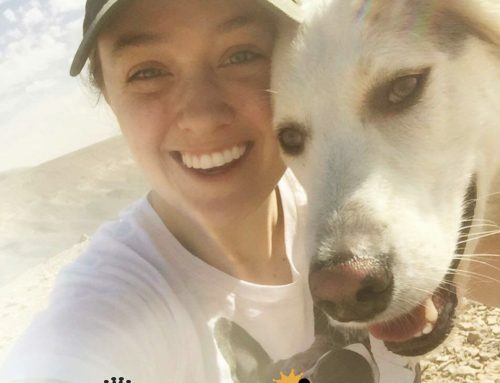 Give us your thoughts on this program! 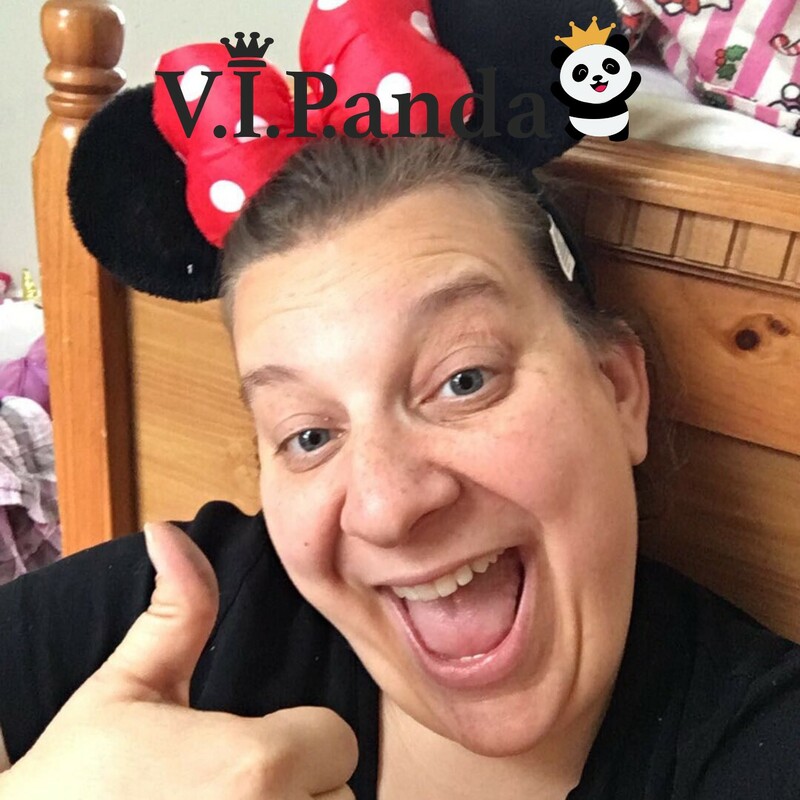 You’re a great mentor for VIPKid applicants and newbies. What’s your advice for others who are: applying, new, or veterans? WELL! 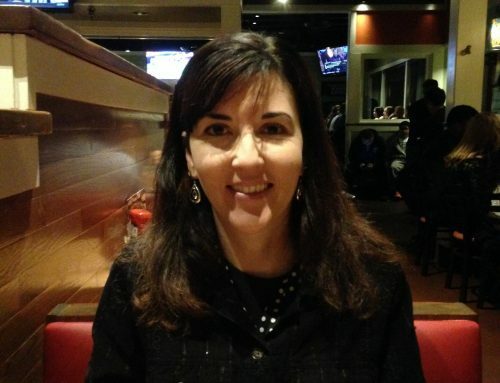 For starters, you should chat with me first so that I can get you through the hiring process the first time! Haha! I kid! If you don’t get through the first time, you’d be just like me!!! I was very disappointed to learn that they were not going to hire me because I failed the second mock class. However, here I am now!! I often coach people that weren’t able to get hired the first time. I love the challenge! If you are committed, I will help you get hired! As for advice….be yourself!!! Do worry that you aren’t just like this YouTube video that you saw, be yourself! I always tell people that we have every kind of student. That means that we need every kind of teacher! Tell us about your experiences helping teachers through the process! I love helping new teachers get hired. 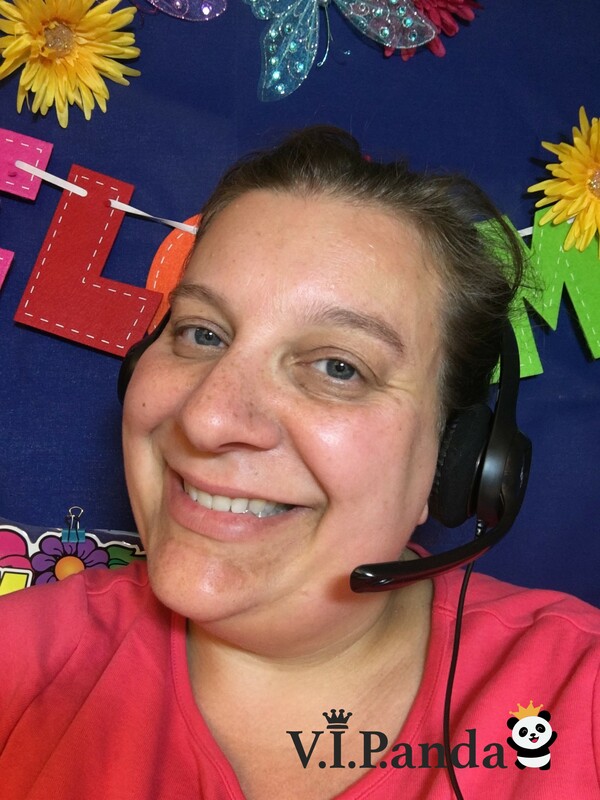 I decided that I wanted every new teacher to have the positive experiences that I’ve had since I began working for VIPKid, so I try to make their hiring experience special and let them know that I am available for them. Also, because I don’t do a ton of referring, I have been able to get to know my referrals! After they get hired, I sent them a big yellow envelope filled with lots of different 2D props that they can use in class and a personal note. This is just my way of saving them some money on ink (thank you HP instant ink!!!) 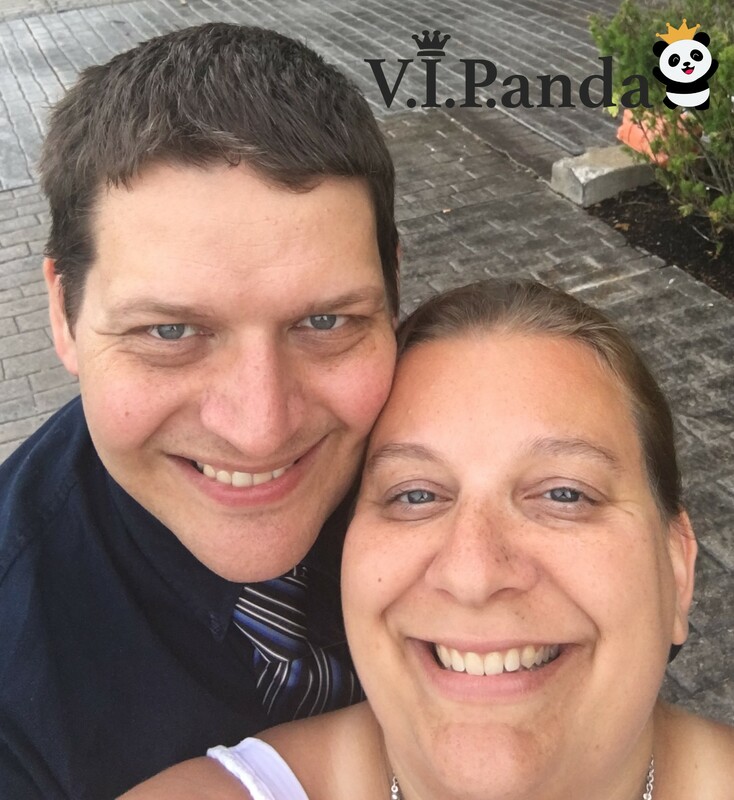 and welcoming them to the VIPKid community. I also remain available to them after they are hired and try to check in after about 2-3 months to see that they are still doing well. 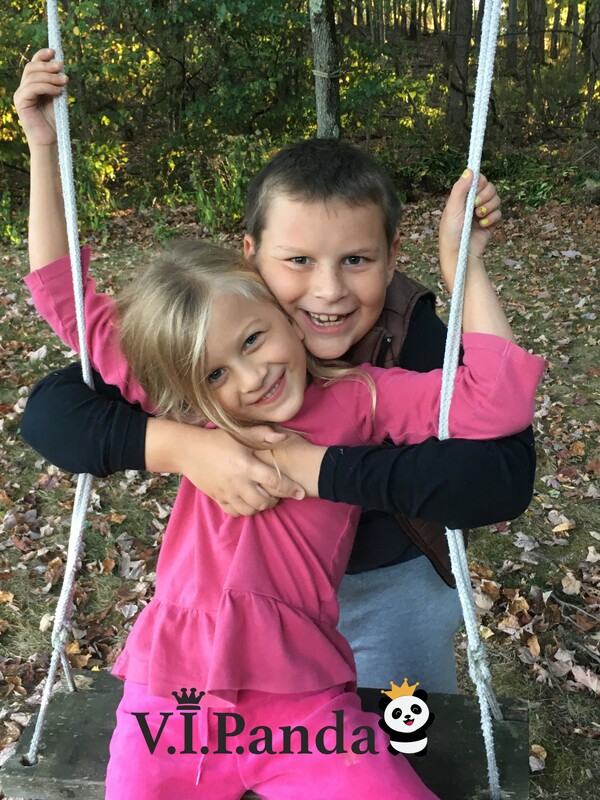 Lauren’s children, Chloe and Matthew.  Gorgeous couple! Lauren with her husband, Scott.